Fitbit, at the very least, is readying new colors of its Versa smartwatch, according to a series of photos published by TechoBuffalo on Monday. The photos reveal a device that looks exactly like the current generation Versa, only its housing is unapologetically colorful. According to the report, the four colors are Silver, Rose Pink, Purple, and Cyan Blue. TechnoBuffalo's report doesn't shed light on any new features or specs, and it does mention that it's possible the photos might not be the Versa 2. And I agree. If this is indeed the second-generation Versa, adding a few colors and an aluminum housing across all models isn't going to be enough to compete with the Apple Watch. It's hard to tell, but the size of the display looks to be the same as the current Versa. Even the wording on the back of the housing is identical to that of the current Versa. A Fitbit representative provided the following statement to ZDNet: "We appreciate the interest and excitement around our products. As you know, we are constantly working on new health and fitness devices to help people live healthier lives. We don't have news to share at this time, but you'll be amongst the first to know when we do." Fitbit released the Versa in spring of 2018, and I found it to be everything Fitbit had wanted its previous attempts at a smartwatch to be. It's is a smartwatch that does what a smartwatch is supposed to do, with the added benefit for Fitbit's health and activity features. 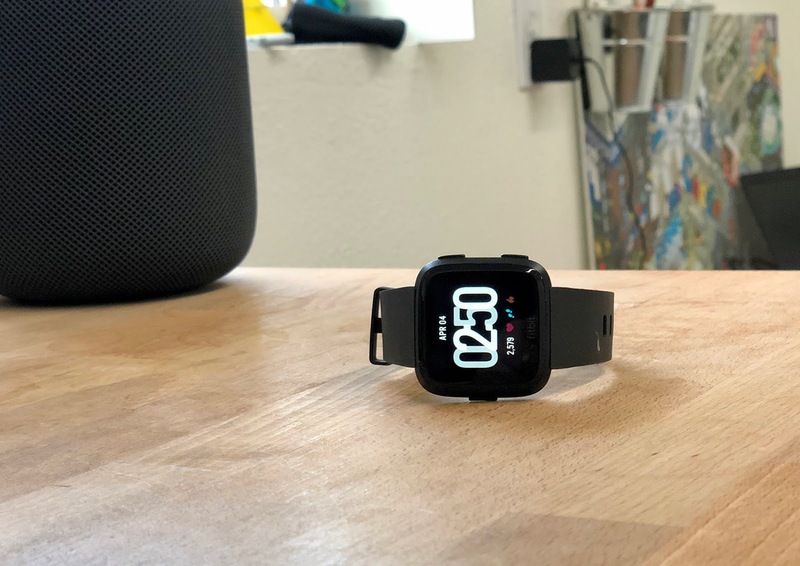 A second-generation model that improves upon the fitness integration, and adds more smartwatch features like GPS and possibly cellular connectivity, would make more sense than just a color refresh. Check out the photos of the mystery Versa on TechnoBuffalo.